1972: Established Vanguard Roofing as a commercial, industrial and institutional roof repair and maintenance company. 1979: Vanguard Roofing becomes a Northeast pioneer for installation of single ply membrane roofing assembly. 1987: Vanguard Roofing surpasses 3 million square feet of managed roofs. 1994: Started full service coating division for various types of smooth surface and gravel built up roofs. 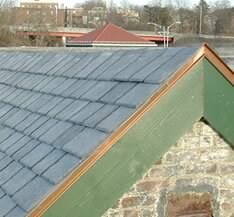 2001: Began installing photovoltaic-ready roofing. 2009: Vanguard Energy Solutions is formed. 2010: Vanguard Roofing surpasses 8 million square feet of managed commercial roofs. 2012: Vanguard Roofing achieves over 20 years of professional relationships with Fortune 1000 companies as well as small local and regional commercial facilities. 2015: Vanguard Roofing adds Thermal Imaging Scans of roofing systems.